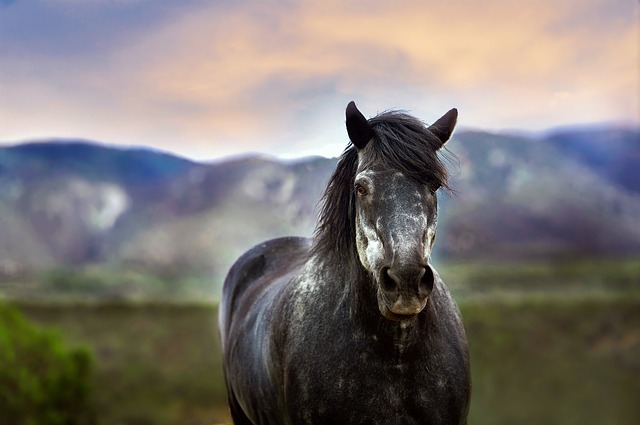 Although there are lots of physical features of the horse that can and should be examined thoroughly, conducting a veterinary evaluation and a thorough self-inspection are great places to start. The best course of action when purchasing a new horse is to have a certified equine veterinarian to do an inspection and evaluation. Always do this prior to signing documents or exchanging money. Even though it may seem like an expensive up-front cost, future medical bills will be far costlier than a diagnostic X-ray and visual inspection. Some veterinarians will even come on-site for the inspection. Consider the consultation as your first line of defense in securing a solid investment. If you were buying an expensive used car, you would probably take it to the mechanic first right? If health records are available, present these to the veterinarian prior to inspection. Next, do a self-evaluation of the horse’s posture and general appearance. How the horse is balanced can tell you a lot about its temperament and structure. Disfigurements, overdevelopment (balance to one side), skin conditions, and poor teeth/gums, can all be signs of trouble. Pass your hand over each eye (without touching whiskers) to gauge blindness and blinking response. Feel for any bony growths near joints and scars. While doing your visual inspection make note of the horse’s temperament. Does it spook or scare easily? While evaluating the horse’s behavior, it’s important to keep in mind the conditions it will be living in at home. 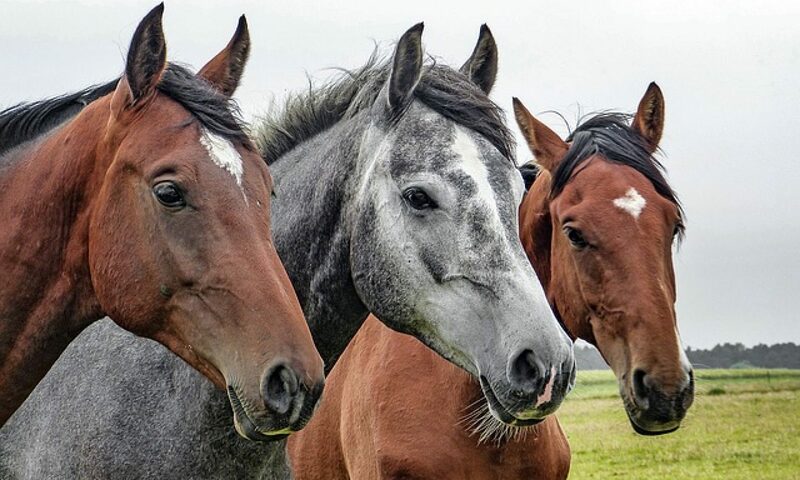 How the horse behaves around children and other horses, for example, might be the difference between successful and unsuccessful horse ownership. Will you be using the horse for occasional casual riding or more frequent use? Examine the horse’s current living space. Look for indicators of chewing, cracks or damage to walls, diarrhea in the hay, and scraped paint near head-level on the bars. If there are any differences between the horse’s stall (such as a missing hay feeder), ask the owner why. Observe the horse under saddle. Does it appear to enjoy working and leaving the barn area? Watch for the horse’s attentiveness and level of relaxation. Refusals, head tossing, and stiffness may be indicative of medical problems from being sore. Observe the horse in hand. While the horse is led, watch its gate. 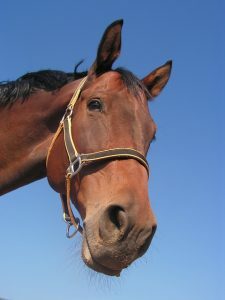 Neurological issues may be present if the horse has an inability to walk in a straight line or issues with coordination. 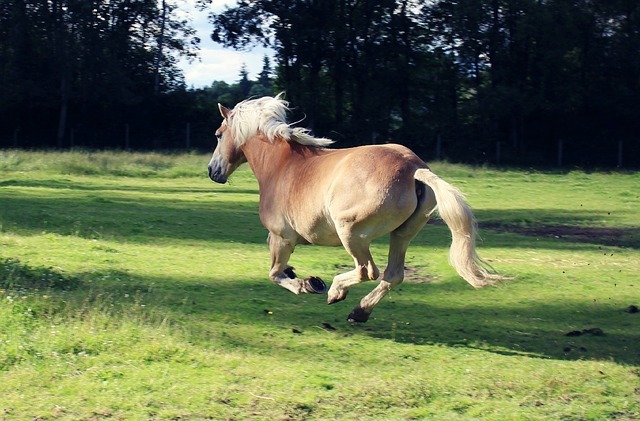 While in a trot or jog, watch the hips of the horse and look for weight distribution. Check for coordination while the horse moves in a circle. If a force is applied to the hips perpendicular to the circular movement, the horse should regain balance quickly and continue walking in a circle. How frequently is the animal worked right now? Has the horse ever been checked or treated for laminitis (founder) before? What is the horse’s temperament with children or other horses? Can the horse be haltered easily in open spaces? In the stall? Are there any navicular issues with the horse? The best way to know if you are getting a good horse is to treat it like you would any other investment. Do your research ahead of time, understand the types of environments you will be bringing it into, and mostly be observant. While a veterinarian will be a great help in knowing what to look for when buying a horse (and is strongly recommended), make sure to ask the owner lots of questions yourself. Be sure to record anything out of the ordinary, and review your notes before making any purchases. Have fun with the process and get excited about your new future!